T-SPUI01 - United Irish Cavalry Unit. Special unit deal put together by Trent Miniatures for Sharp Practice. 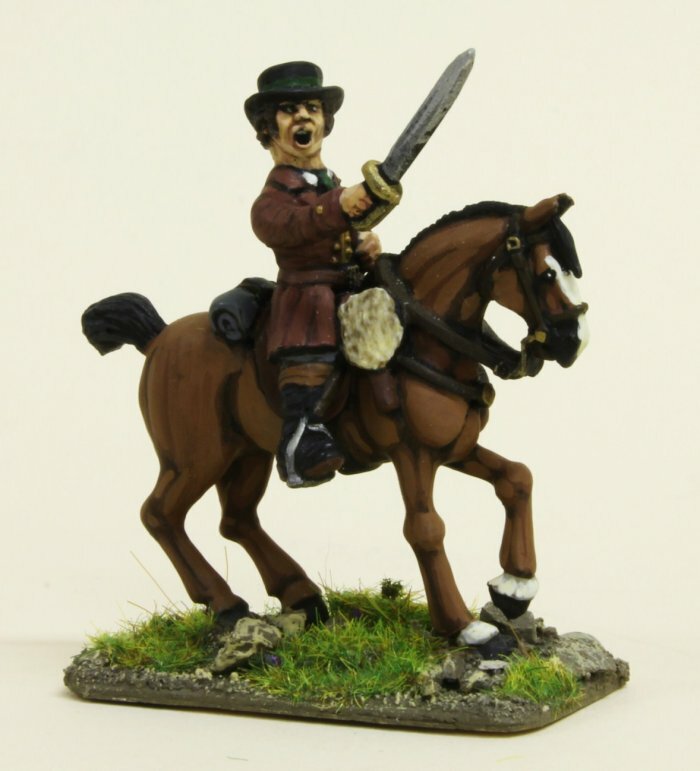 Buy this 8 man United Irish Cavalry unit, and get a free mounted 'Big man' as well. The cavalry figures come with a selection of separate heads and right arms to give you a varied unit. There are more arms than you need, so you'll have spares for those conversion possibilities. The figures are 28mm sized, made of metal and supplied unpainted.